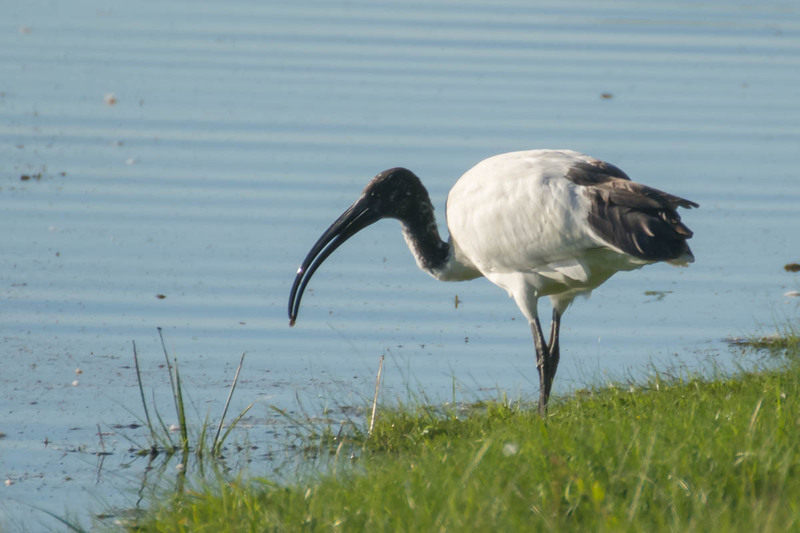 Here is a photo of an African sacred ibis that I found during a hike through the Schellbruch. This is not a bird species that you usually would find in Germany, I talked a bit more about this in my previous article about the African sacred ibis. I just thought that I show you a photo from the same day but one that I cropped heavily. Of course, you can see the quality loss of the image due to the crop, but at the same time you can also see the bird better, which is why I am uploading the photo. I have some more photos of that day, but I might upload them all in a gallery some day in the future. I was surprised too. I remember that day, I was hiking and met a stranger who told me that he is doing macro photography, and he asked me about my tele lens. Later I saw him again and approached me to tell me “Looks like it’s your day, go this way and you find some strange bird, I don’t even know what kind of bird it is”. Went this way, shot the photos and a couple of other hikers asked me if I would be bird photographer and if I would know what kind of bird it is. Nope, I had absolutely no idea. Thanks for the information! I think you can find more and more species of animals and plants wich do not belong to our area for several reasons (climate change, globalization, introduced). For instance there are Rhea (Nandu) in Mecklenburg-Vorpommern recently and the brown naked snail comes from Spain and replaces our native black ones. Yes, exactly. It’s funny, I just talked about this with a friend today, because he warned me about a “new” spider in Germany that can be a bit dangerous: https://brandenburg.nabu.de/tiere-und-pflanzen/sonstige-arten/21025.html (Ammen-Dornfinger). I assume we will have them in Schleswig Holstein too at some point, but for now you could find them in Brandenburg. We both talked about different animals and speculated about climate change and globalization too. I have read about the Nandus, my mother saw them last year near Ratzeburg on a field. I did however not know about the Spanish snail and will google it as I like to learn more.